Important Notice: Please note that we do not have changed our banks accounts. If you receive any email or other notice to transfer your funds to a different account than you are used to, please don't do so. 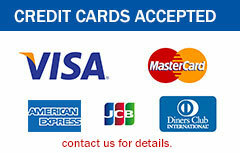 You can use one of the following bank accounts for payments. Account Name Sayuri International Co.,Ltd.